How do I use IQOS? Remove your charged IQOS Holder from the IQOS Pocket Charger. Insert a Tobacco Stick into your IQOS Holder, tobacco-side down. Press and hold the IQOS Holder button for two full seconds until the IQOS Holder vibrates and the button LED starts to blink. 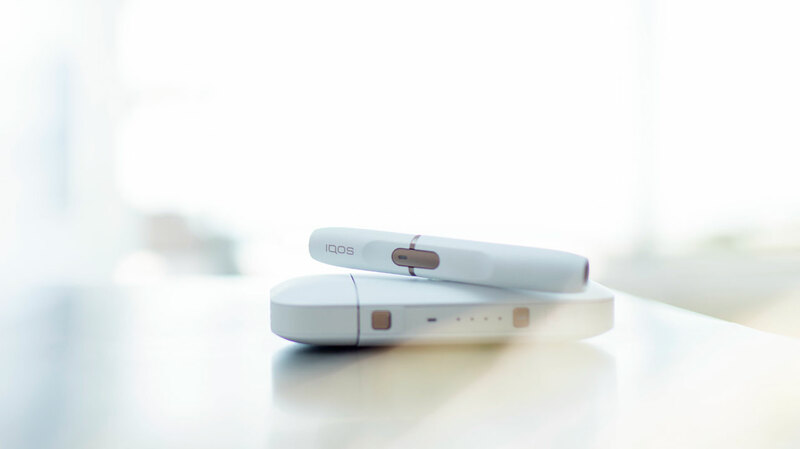 When the IQOS Holder button LED glows solid white, you can experience your Tobacco Stick for up to approximately 6 minutes or 14 puffs. When the IQOS holder button LED goes off, the experience is over. Now that your experience is complete, you will need to pull up the cap of your IQOS Holder. You can now remove the used Tobacco Stick. Finally, place the Holder in the Pocket Charger to prepare it for its next use.